Watch a Wanted developer get taken down and his hunter become the hunted. 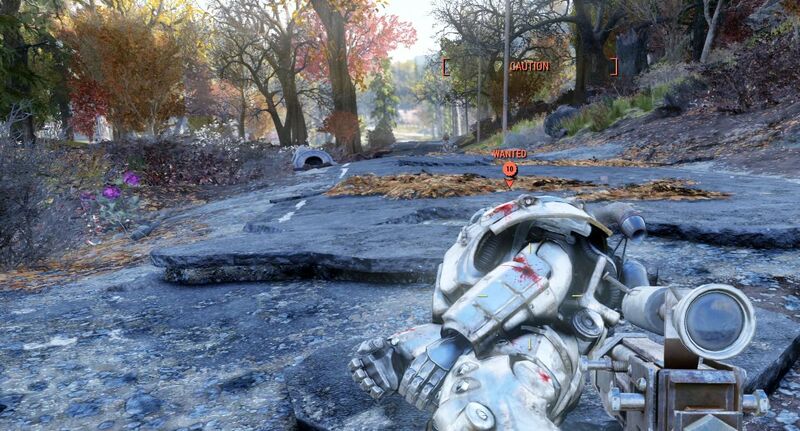 In Fallout 76, there's a Wanted Murderer mechanic that does a few things for the overall online survival experience. Most importantly, it will turn griefers into content for other players and I happened to get a taste of this content from both ends during a three-hour Fallout 76 demo. Watch the full video below to see how I took down a Wanted developer, only to earn my own Wanted Murderer tag because of damage to another player's camp with a molotov cocktail. Oh, and I got hunted down by my own party member. Enjoy! Make friends or hunt them when the B.E.T.A. goes live October 23 for Xbox One players and October 30 for PS4 and PC players. Also, check out the Shacknews and GamerhubTV YouTube channels for exclusive interviews, walkthroughs, gameplay, and a whole lot more.